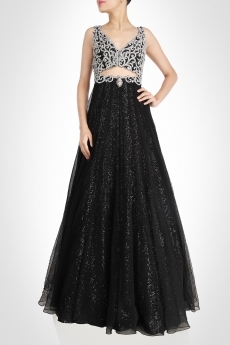 Add a dose of elegance to your evening wardrobe with this silver tone net cocktail gown with sequin inner drape. 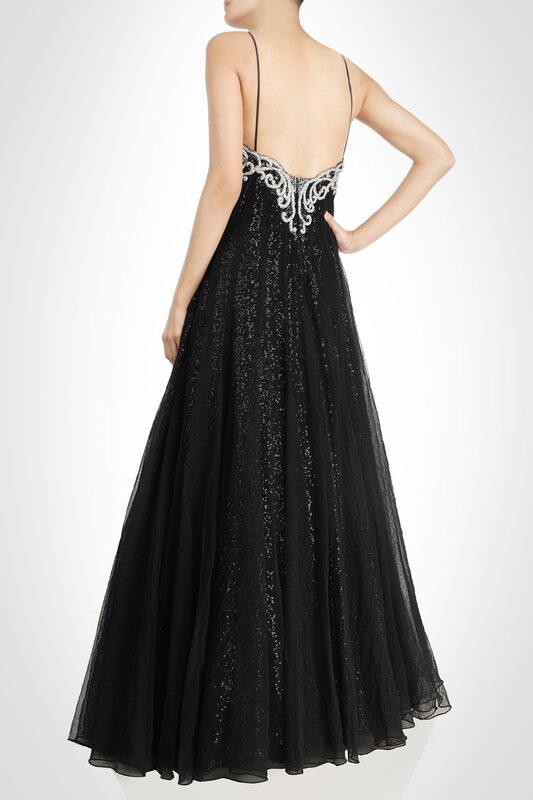 The bodice is adorned with beagle bead embroidery & elegant cut. 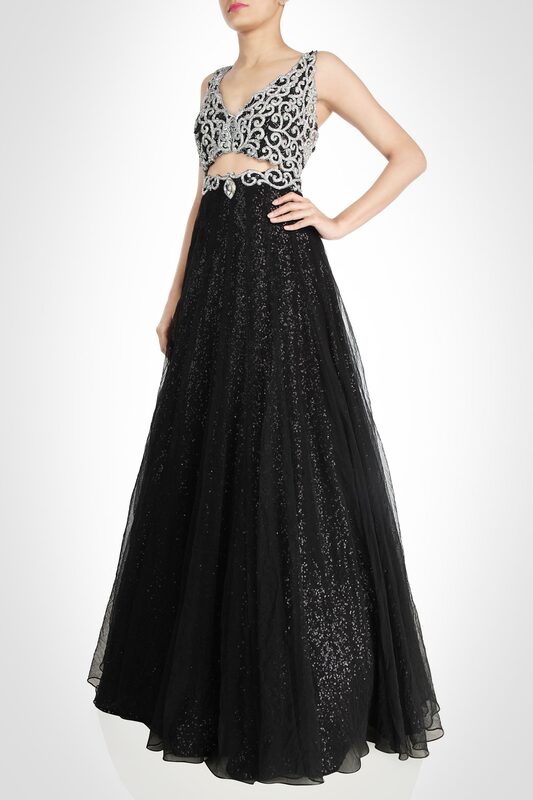 Team it with polished silver accents for the maximum impact. Size : Select L What size am I ?